During the ICE Project, an innovative mobile air-conditioning (MAC) system has been conceived and installed in the IVECO Daily Electric minibus. 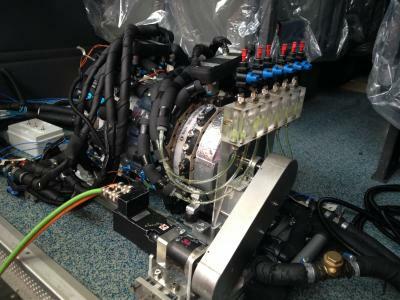 The core of the system is the magnetocaloric heat pump prototype shown in the next picture. 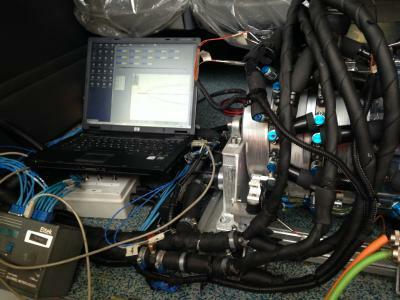 The magnetocaloric heat pump has been installed and succesfully integrated at the rear of the demonstrator vehicle. 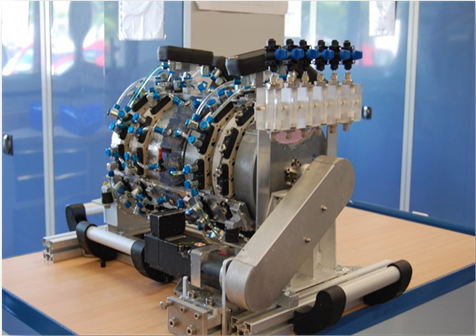 The thermal power produced by the MCU is distributed along the cabin of the minibus by means of an intermediate heat transfer fluid. The system can work either in heating or in cooling mode while controlling the air renewal. The change between cooling and heating mode is performed by means of external valves. 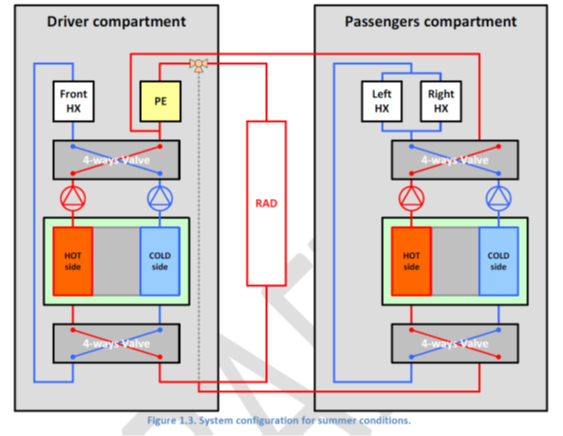 In summer, the cold side of the magnetocaloric heat pump is connected to the heat exchangers in the cabin while the heat is rejected to the ambient by means of the radiator. 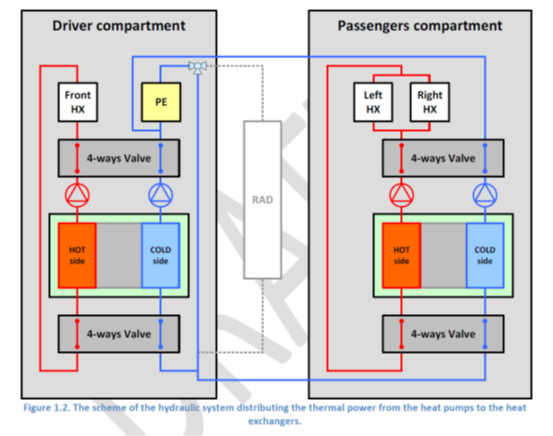 In winter, the position of the valves changes to connect the hot side of the magnetocaloric heat pump to the heat exchangers in the cabin. In the cold side, the waste heat from the power electronics of the vehicle is used into the AC system.